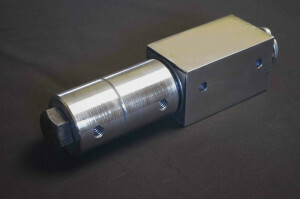 Swivel hitches, Think you need one? You Do. Attached to the trailer in the tongue, or attached to the bike itself. Bikes take a LOT of turns. Most of the time it’s more desirable to ride that scenic winding rode than it is to take boring flat one. 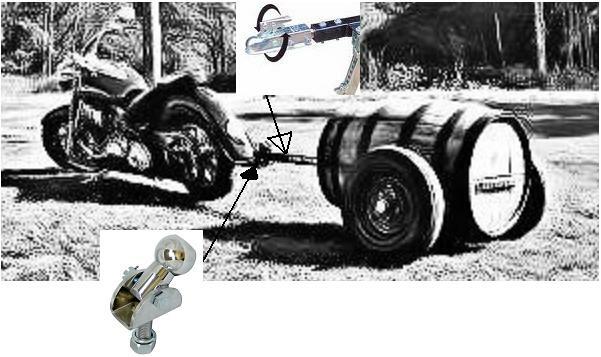 In every turn that that bike leans, and the trailer does not, the ball and the hitch rub on each other. The spring-loaded lock, the one that locks the coupler to the ball by being forced under neath it, rubs too. “It has been my experience that the ball already pivots to a certain degree within the hitch, that’s why its round. Surely with a standard rigid ball setup there is enough “play” for a rider to still be able to lean into turns half way comfortably. Am I wrong on this?”-Mr Knows-it. What is not so easily seen underneath is that when that spring forces the lock up to the ball, that lock does not have nearly enough “play” in it tilting side-to-side as it does turning left and right. After a couple trips, a noticeable ware down can be seen. After a few hundred miles, the risk of the lock malfunctioning increases dramatically. You don’t run down your brake pad all the way through and then start in on the rotor? No. So why would you let these components rub together when any easy alternative exists? Similar to testing out the chains when hooking up a trailer, the swivel should be tested also. I recommend that you lean the bike as far a physically possible (get some friends to help you with this), while watching how far the ball and hitch combination can travel. Depending on whether you have a swivel hitch or a swivel in the tongue of the trailer, the bike should be able to completely lay down. Not that any biker plans to lay the bike down, but it does happen. When you ride it like you stole it, you get to leaning. Have a good idea how far you can lean while in the driveway, not the highway. With the swivel ball attached to the bike, switching trailers or pulling different trailers for different rides (like I do) eliminates having a swivel in the tongue of each trailer. A word about trailer sway. Your alignment from the front wheel of the bike to the rear of the trailer plays a role in whether your trailer is going to go into “sway” at 70mph. A good quality built swivel hitch will not affect this, a bad one will. If you don’t have a swivel – Get one. You may not give a sh*it if you crash, the person you love on the back or at home might.